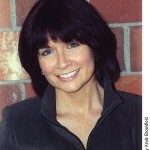 Mystery author Cricket McRae will be giving away a $25 electronic gift certificate from amazon.com on December 16th. There are several easy ways to enter, so hop on over to Cricket’s blog, Hearth Cricket, to read all about it. Cricket also alerts us to The Twelve Days of Bookmas Giveaway at Bookends, LLC that will run through December 16th. This one is a daily clue, riddle, or quiz to answer. More bookish fun. Sophie Littlefield is giving away copies of her books at her blog. You only have until the end of tomorrow (Saturday) to qualify for this one. If anyone else has a giveaway or knows of one, I invite you to add the link in your comment. The more the merrier. My pleasure, Sophie. I’m a big fan, so I’m happy to spread the word. thanks so much for posting it, patricia!! Ooh! Thanks for the heads up on the give-aways! I’ll go and check them out. Lots of great giveaways. Good luck to the participants!! Thanks for the info – I love to win books. Gift cards are always fun to win! Thanks, Patricia, for keeping us up on giveaways! THere’a a 12 Deals of Christmas at the eHarlequin store, and their Mystery and Suspense titles are included. Go to the eHarlequin online store (and don’t forget the paperback version of The Desert Hedge Murders is still available there). I echo those sentiments Stephen. Big book sales to everyone (and if we give books as gifts, we can make that happen). If its free I’ll take two please. Tis the season for giveaways. Here’ to bloggers and authors having a most prosperous Holiday season! Patricia – Thanks for the heads up about these great giveaways! It’s always fun to hear about these things :-). Loved the bits and pieces of information. Patricia.